I've been meaning to post a blog on what I learned about Aleister Crowley that I didn't know before after reading Tobias Churton's excellent ALEISTER CROWLEY - the BIOGRAPHY. Quite a few very interesting and insightful details about his life and work get revealed in this book. An excellent review of it lives on the lashtal.com website. Today I'll discuss one of these new insights: the fact that Crowley identified with Christ. This becomes apparent relatively soon to anyone who has spent time working with his exercises and learned his lexicon but I've not seen it stated so directly as it appears in Churton's book. Apparently it's from a diary entry. How can it be? The Great Beast Himself, whose number is 666, a number considered the number of the Anti-Christ in popular religious superstition .... identifying with Christ???? For one thing, this doesn't mean that Crowley identified with the historical Jesus. Christ is a title that refers to a position, a post, or a station - one way of being and working. Christ was not Jesus' last name, his parents were not Mr. and Mrs. Christ. It would appear more accurate to call him Jesus the Christ. That Crowley identified with both Christ and the Great Beast of Revelations seems to me like an honest portrayal of his situation ie that the expansion of his morphology in the role he identified with reached both god-like heights and beastly depths. Nothing sinster, depraved or indulgent about that, just a condition of that work. Maybe, maybe not. Another answer could turn up in Crowley's love of the teachings of the tao and it's doctrine regarding the union of opposites. As it goes in this example, the Anti-Christ appears as another aspect of Christ, two sides of the same coin. The Great Beast, as Crowley understood and ran with it, has absolutely nothing to do with malevolence or evil. To Crowley, the Devil didn't exist, a unified being of chaos making for too much of a contradiction for manifested existence. The Devil seems descended from the Old Testament concept of Ha-Satan, the Holy Adversary, an Angel who instigates tests and provides challenges and obstacles to mankind to ultimately help it to evolve. From this view, 'he' seems another, perhaps sometimes annoying, function of the Creative Principle. the Devil has assumed more of a dualistic status commonly associated with heretics, infidels, and other unbelievers. As such, the Devil is seen as an allegory that represents a crisis of faith, individualism, free will, wisdom and enlightenment. The youth culture of the 60's sees the devil evolving into more of a trickster role. The Rolling Stones sang for sympathy and had the line, "but what's puzzling you is just the nature of my game." with the game as described above. Crowley's role as a devil in contemporary society also fits the description given by wiki. This talented duo, Lindsay Erin and Paul Ezekiel, have an album in the works produced by yours truly due out near the beginning of next year. At the moment it's a work in progress, so more on that when it's finished. In other news, the African roots music label, Kanega System Krush has a new release of music by Master djembe drummer Taga Sidibe. A review of it is here. Taga is a renown figure throughout Mali drawing crowds into the thousands. He is both a revered hunter and musician versed in Sogonikun, a kind of music typically performed during ceremonies meant to uplift and beat back negativity. He is often called on to hype up audiences and entertain the occasional bush spirit, he says. Drumming aficionado's will certainly find a wealth of listening pleasure in this album’s percussive mastery yet the epic level of musicality and pairing together with ‘Tu’ Sinayoko’s divine vocals makes it a must-have for music lovers the world over. Taga represents one of the last bastions of traditional djembe drumming played in contrast to the all too common ballet style. Steady and true, his répertoire has been passed down through an ancient lineage. Learning at the hands of Mansa Bagayoko, Taga was hand picked to rigorously study drumming to continue an authentic tradition and integrate it into daily life. Whatever challenges one might face, music remains a source of wisdom and healing for the soul. Last but not least on the Bari Dun Dun and Konkoni is Taga’s lifelong musical companion, Yakoub Sidibe. The incredible interplay between Taga and Yakoub has been honed since childhood when they first began playing together more than thirty years ago on the Kamalen N’Goni. The keenest of ears can sometimes hear up to forty variations of a single rhythm. I found it consciousness altering in a useful way when mixing it. Besides being considered a Master of the Djembe, Taga is a traditional medicine man, a healer, a hunter, and a farmer. When he is not engaged in ceremony or ceremonial music, Taga spends his time in Wassoulou (a region in Mali) with his family where he grows millet, rice, and corn. As expected, I left out a number of the great guitarists of all time that I've worked with. My excuse for that and not posting more is that I've been working an average of 12 hrs/day engineering every single day for the past 2 and 1/2 months except when on a plane or a train. The first rock star guitar player I worked with was Rick Derringer - amazingly fast but soulfull blues/rock guitarist, a very nice guy, and excellent producer. He was playing a Steinberger guitar which was relatively new at the time; he seemed kind of a perfectionist with his playing, searching for, and finding the ultimate solo. I had this impression because he would reject what I heard as amazing performances until he was satisfied completely. Lots of punch-ins until every detail of the solo cooked to perfection. Punch-ins consist of going in and out of record for one specific part of a performance. Got to work with Rick on a remake of his classic song, Rock & Roll Hoochie Koo. Jimi Hazel came into Platinum Island with his band, 24-7 Spyz in 1989 or so and burned up the place. Jimi's guitar playing was on fire, living up to his namesakes Jimi Hendrix and Eddie Hazel. It was very exciting and energizing seeing someone of that caliber close-up. I would call his style at the time, virtuoso punk rock. The energy of punk by someone who could really play. I know that engineer Robert Musso was quite impressed with Hazel, and he's worked with the likes of Steve Vai. 24-7 Spyz recorded an entire album live in the studio in 2 marathon sessions and called it Harder Than You releasing it on the In-Effect label. They got compared to the legendary punk/reggae band, Bad Brains. Stevie Salas blew my mind one day with a solo he did for Ronald Shannon Jackson's Red Warrior album. Stevie's very fast with both his playing and sound manipulation on his pedals. He plays with a lot of heart, and the knowledge and confidence to set a course and take a solo somewhere definite. His solos tell stories. I've worked with him on a few different projects - his album Color Code for Island, with Buddy Miles, and with his longtime collaborator Bernard Fowler whose day job for the past 22 years has been singing background vocals with the Rolling Stones. Marc Ribot gets truly possessed by an otherworldly spirit of guitar playing, or whatever you want to call it. He can get truly OUT with it, as we say in the vernacular. He's a guitarist who has inspired imitators but I've not seen anyone do exactly what he does. His playing conjures up bardo spaces for me. Worked with him on a Tom Waits record and with Arto Lindsay's band in the early '90's, Ambitious Lovers. He told some great stories about touring with Wilson Pickett. Smoky Hormel has incredible feel. Worked with him with Waits and with rockabilly legend Wanda Jackson. Lobi Traore I wrote about here. Derek Bailey was a legendary avant garde British guitarist. Only worked with him once at a concert with Jack De Johnette, Bill Laswell, and DJ Disk. Eric McFadden, Volker Stifler, and Johnnie Axtell are my go to guitarists when the opportunity arises to bring in musicians for projects I'm producing. I listened to a lot of great guitar playing in my early years doing live sound in Western Canada: Gerry Neufeld and Luch Giacchetta from Sargent, Fast Eddie and Rick from The Tickets, Ronnie Champagne from Frantic, Steve from Blade Runner, and others whose names escape me. It was a real education for me. Sometimes we were obvious collaborators - them on lightening fast playing, me on the PA and Space Echo. For psychedelic guitar passages, I would put delays on the guitar, turn up the feedback significantly, then pan the guitar and effects opposite each other to create a swirling effect of movement in space. I did this with Gerry Neufeld during his guitar solo space explorations in the Van Halen cover of You Really Got Me. Ronnie Champagne and I would sometimes do sound improvs on guitar and Space Echo on breaks from the band's set. Regular readers of The Oz Mix know that I tend to use the Qabbalistic Tree of Life as a compass and map for just about anything so it won't surprise them to hear that I sometimes associate guitarists and guitar playing with the path of Gimel on the Tree of Life. Gimel connects the spheres of Tiphareth and Kether in a vertical ascent up the Middle Pillar. It crosses a vast, largely unknown territory known as The Abyss said to separate the Real from the Illusory. By all accounts, crossing The Abyss seems like no picnic. It's been called the Labyrinth and finds itself compared to a desert for feeling so very hot and dry. One of the best songs for illustrating this idea I'm getting at of using guitar music - either playing or listening, as a trigger for journeying up the path of Gimel, is 'While My Guitar Gently Weeps.' Here's a version by one of my favorite Canadian guitarists, Jeff Healy. Jeff no longer plays from that body having died a few years back. He was blind, so, like Ray Charles, Jeff used sound as a primary means for navigating through space. I used to see him play at a small club in Calgary, it was like seeing Hendrix just a few feet away - quite intense, naturally theatrical, and took you out. Last time I saw Healy was at the World Expo in Vancouver in 1986 with my Mother, and my wife at the time after having just visited John Lennon's psychedelic Rolls Royce that was on display. This one looks good on the big screen. The footage of World Events they show seems quite relevant with what's going on in the world today. Here's another version, this one lead by Eric Clapton and an Allstar band at the Concert for George tribute. Very big sound, lots of incredible musicians including Paul McCartney and Ringo Starr. Note the edit cut to Ringo Starr at about 1:07 after the line, "I don't know why no one showed you how to unfold your love??" Also looks good on big screen. Clapton's soloing in the outro chorus seems to have that yearning quality I spoke of. The very last shot of the video looks quite interesting too. I wrote most of this late last night then passed out before I could finish. My assistant Isha, who doesn't know my recent posts, came in wearing a red Hendrix T-shirt today. I asked him why he wore that particular shirt and he said, "oh it just came around on the guitar, I guess..." Actually, he didn't say that, he said it was just at the top in his drawer. Rolling Stone just published their 100 Greatest Guitarists of All Time list as voted upon by "top guitarists and other experts." They didn't ask me but I'm not shy about offering my observations as a longtime observer of superb guitar playing, some by guitarists who did make the list. First of all, this concept of All Time, more of a grandiose poetic flourish than a literal truth, subconsciously (now consciously) brings magick into the equation. The Qabalistic Cross, a very basic, preliminary ritual goes: "Unto Thee, the Kingdom, the Power, and the Glory, Unto All the Ages" ( ie All Time). the conscious self awake in the present moment. Also, the first song title from his 3rd studio album Electric Ladyland suggests the Great Work in practice. This song lasts 1:21 . The second song title asks Have You Ever Been ( To Electric Ladyland). The answer, in my case, is yes if he means Electric Lady, the recording studio Hendrix built with Eddie Kramer on 8th Street in Greenwich Village. I recorded and mixed a track for another great guitarist of All Time ( on my list, not RS) Buckethead for the film Last Action Hero. The original North American-only Reprise release album cover featured a "fiery" photo of Hendrix' head. Rolling Stone gives "The Star Spangled Banner" as one of his key tracks. Jimmy Page came in at number 3. I thought he should have reached 2 instead of Clapton but figure that Coincidence Control must have put him at 3 for Crowley/Qabalistic associations. As is well-known, Page is quite experienced with magick and it definitely got channeled through his music. Page had Do what thou wilt inscribed in small letters on the innermost part of every vinyl copy of Led Zeppelin IV. According to Wikipedia, that album has sold over 23,000,000 copies in the U.S. alone making it 23 times certified platinum. With all those spinning discs, Page instigated a Crowleyan flavored Tibetan prayer wheel. "Dazed and Confused" shows up as the first of Pages key tracks. Live performances show Page using a bow on his guitar which he also appears to use, 'as if' a magick wand. He also quotes Gustavf Holst's Mars, the Bringer of War a couple of times in the long piece. Mars represents the active energy of Horus, the Egyptian god of force and fire who symbolizes this new time of self-determined, voluntary evolution and reality creation. The War means the war on sleep in whatever form. The war against getting programmed into robotic compliance with external societal game rules about what you should do with your life. The war against becoming a Marching Moron as Cyril Kornbluth put it in a famous SF story. Bill Laswell and associates call this war Method of Defiance. Soul of a woman was created below..."
Something that perhaps only a fool can understand, as it seems related with a later song title Fool in the Rain from the 1979 album In Through the Out Door. Perhaps the lyric should read 'Soul of a WoMan was created below. It also connects with the 'bringing the woman to life' idea I mentioned recently, an idea that's one expression of the formula symbolized by the tarot card The Chariot which Crowley called the formula of this new period. The lyric could indicate the idea that 'the Work is in Hell' - to qabalists Hell means the space-time continuum - not in escaping to a blissed out nirvana or fantastic wishful paradise but right here, right now in the nitty gritty of the physical Universe. Keith Richards at number 4 becomes the highest rated guitarist I've personally seen. A Stones concert in 1981 at the Kingdome in Seattle convinced me of his brilliance. His new book, Life, holds some real gems about songwriting and guitar playing. Jumping Jack Flash was his gardener at his Redlands estate, and now we're somehow back in Mars' territory. Martin Scorsese's favorite Stones song, Gimme Shelter turns up as one of Keith's key tracks. Pete Townsend at #10 ranks as my personal favorite of anyone guitarist I've seen live. Incredibly powerful when I saw the Who, the proto-type punk band but with class, in 1980 or 81. A future blog on that concert will relate a drug-free, musically inspired OOBE that forever changed how I listened to and received music. "But when he picked up his guitar or a solo, 'he was completely in communion with his instrument... It just became soul music." Got to work briefly with #28, Johnny Ramone on the mixes for Brain Drain by The Ramones. Once had lunch with #32 Billy Gibbons and Bill Laswell. I'd seen ZZ Top some years earlier and enjoyed them. Gibbons was wearing what looked like a stylized shower cap. Got the sense it had a protective function for Billy. Mick Taylor, #37 was a delight to work with. He was laying down solos and guitar lines on a Golden Palominos record for over 4 hours at Platinum Island. I have to disagree with Carlos Santana's statement about Mike Bloomfield, "He didn't get a chance to expand the mission of his soul..." As mentioned in an earlier post, I feel he did on Dylan's Highway 61 Revisited. #62, Robert Fripp rates as genius, to me, based on the King Crimson albums and the 3 times I've seen him play. He appears the only serious guitarist I've seen who can translate Gurdjieff's theories about the octave into consciousness altering music. I could be making that up about his creative approach. I do know that he studied Gurdjieff extensively to the point of making retreats from the commercial music industry to further his researches. I also know that certain intervals he played on the guitar when I saw him live, corresponded with strong mood lifts in me. Lifting to the point of temporarily stepping OUT of consensual reality into a timeless present. Hard to describe exactly ... you start to feel a lot bigger. #82 Nels Kline showed his creative mastery when I worked with him on Eric McFadden and Wally Ingram's Alektorophobia. Very nice guy to work with too! I could have been the last person to record #83 Eddie Hazel. I remembered doing some overdubs with him with Laswell at Bill's old studio in Greenpoint. I don't recall for whom. I remember liking his playing but I didn't get the sense of being in the presence of a legend though he'd been billed as such, and probably was in better days. He was quiet and didn't look in the best of health. A few weeks later we were scheduled to record a trio with Eddie Hazel, Bootsy Collins, and Buddy Miles at Greenpoint. I was really looking forward to it - Bootsy and Buddy a were masters of their instruments ( Bootsy still is!) and I'm sure they would have inspired Hazel to new heights. Unfortunately, a call came through about a week before the session that Eddie had died. Hazel... brought a thrilling mix of lysergic vision and groove power to all of his work. #87, James Hetfield, seemed ridiculously polite when I recorded him for AntiPop by Primus. Pleasant and quick to work with. Once flew to LA to audition for a tour with #100 Lindsey Buckingham. Was told on the way to the rehearsal studio that I likely wouldn't get the gig because I was his manager's choice. So goes it in the music biz. I enjoyed watching him put a show together for a couple of days, and they gave me an honest try-out. Buckingham does have amazing guitar chops which he showed off from time to time. In a conversation with me about Bill Laswell producing Laurie Anderson, he seemed concerned about getting taken seriously as an artist. He was friendly and nice. Jimmy Page playing the guitar. One of the world's Music Masters, Ustad Sultan Khan, passed away a couple of days ago. He was a Sarangi player and an incredible vocalist. His voice really sang out. I had the great fortune to work with him with the band Tabla Beat Science, a group formed by Bill Laswell, Zakir Hussein and Karsh Kale in the late '90's. Sultan Khan contributed beautiful soaring melodies balancing out the rhythmic intensity of TBS and adding to it a whole new dimension. The power of this music seemed to authorize transcendence of all planetary limitations and mundane concerns. At least that's how I heard it most of the time. His demise has marked the end of an era. The ‘Sarangi’ will no longer produce the same tune. The sufi probably will not sound as mystical as it sounded when Ustad sang. The soulful voice will never be heard again. But, Ustad will remain singing forever in our hearts. The songs he gave us, will forever be treasured. Sultan Khan was always a pleasure and very easy work with. He was relaxed and unassuming but knew exactly how he wanted to sound including the type and amount of reverb he wanted on his voice. One of the greats! I was 18 years young when Bob Dylan's Like A Rolling Stone dramatically surfaced in my life and changed it forever. Had just finished 3 months of voluntarily living the life of a homeless wanderer hitchhiking back and forth between Vancouver and Calgary stopping off once or twice to get recharged at the ranch my Mother lived on in Vernon, B.C. The homelessness came about during the summer of my 17th year, the last year of High School. Came home one day from school to find the locks on the doors changed and the windows locked. At that point, I was the only one living in that house, my roomates had moved out the month before. I did not pay that months rent; expected the damage deposit to cover it but apparently the Lord of that particular land thought otherwise. Naturally, I broke into my own home. Someone saw and called the cops who showed up and promptly arrested me in the belief I was a thief. They did get me for possession of pot and hash. Also had a "failure to appear" warrant due to a bureaucratic mix-up from another marijuana possession charge - the arresting officer put the wrong court number on the summons with result that I spent 5 days in jail. While in jail, the Landlord got rid of everything in the house I used to live in. Friends managed to rescue my stereo, record collection and some clothes. A month or so later, my legal issues were cleared up but decided to take a break from "trading my hours for a handful of dimes." So I lived off the land for the next 3 months until it got cold. Sometime in October, 1977 I to got a job and rented a room to live in from a family near my work. One friend had stored my stereo which I retrieved. Another friend, who later unfriended me, refused to return my record collection saying I owed him rent. As luck would have it, I soon discovered that the local library to where I'd grown up had begun lending out records. Kind of absent-mindedly picked up Dylan's Highway 61 Revisited. I heard it was supposed to be good. Back home, I got into a receptive space, turned out the lights, put my headphones on and put the record on. It's quite impossible to describe exactly what happened next, suffice to say it was one of the most powerful peak musical experiences ever felt in this Universe by this one. I connected immediately and deeply with the street poetry of Like A Rolling Stone. I finally found someone else who had lived a similar street education and could articulate it so well. I'd been on my own since I turned 16. None of my peers, at that point, could relate to what that felt like. Dylan had quite obviously been there. I could hardly believe anyone else ha so profoundly found me. It seemed that the lyrics, accented and driven by Michael Bloomfield's searing guitar lines and Dylan's bright, loud harmonica, drew things out of my subconscious mind I barely, or never realized were there. Bob Dylan and Michael Bloomfield on electric guitars, Al Kooper on organ, and a bass player at Newport. I've read interpretations that describe Like A Rolling Stone as bitter and cynical. I don't know, for me it resonated so strongly of joyful recognition for what it's like to die to childhood illusions and to directly confront and survive the beauty, brilliance, disappointments, twists and turns, ups and downs of the Real World in all its glorious, sometimes harsh, sometimes comic, always interesting Majesty. In short, I took it as a celebration of Life. Comparisons have been made betwixt Dylan and Shakespeare. Never saw that myself, maybe because I don't know Shakespeare enough. I do know, with 99% certainty, that William didn't have an amplified electric guitar and harmonica to help him out. One commonality I do recognize: the beginning of Like A Rolling Stone's chorus, which Dylan and others (not long ago The Rolling Stones themselves) deliver with so many different kinds and degrees of passion in various recordings that it qualifies for ' the eight and ninety rules of art', seems a corollory question to Hamlet's famous soliloquy which begins "To be or not to be, that is the question..."
The central plot is the Quixotic saga of an evolutionary agent, Dylan, a confused but sincere minstrel. He has been assigned to a primitive planet in the latter years of the Roaring 20th Century to perform those small but precise jiggles needed to cause chaos in the old, outmoded gene-pools, thus allowing creative individuals to start exploring and settling the next habitats. Dylan's mission is none other than to rediscover what woman really wants. Leary seems to have had a hate/love relationship with Bob Dylan over the years. It couldn't have helped that Leary's wife Rosemary said that she learned everything she knew from Bob Dylan. With the deepest part of herself, with all her heart, she wishes to be found and to be known. ... warming her heart and bathing her in the intense radiation of total adoration. Many of Dylan's songs seem to lyrically touch upon this theme but I actually hear it stronger in his harmonica playing. It often resonates with the active, functional manifestion of the magickal formula abbreviated YHVH, Yod, He, Vau, He ( explained in Crowley's, The Book of Thoth). This formula reads more like Yod Harmonica, Vau, Harmonica in Dylan's presentation but has the same intention as I hear it, to bring the woman to life. A brilliant example of this occurs in the film I'm Not There in which 6 different actors portray Dylan's various character identities. The Like A Rolling Stone era Dylan is played by Cate Blanchett. No footage of the real Bob Dylan appears in the film, he's not there, except at the very end where he plays a lengthy harmonica solo to close the film. Kelly Rooney kindly and generously sent along the photo with the clearest image of the Dustone Angel. See for yourself. There wasn't any smoke burning or any kind of Northern Lights type of phenomena occurring. It looks much closer than that, anyway. This apparition wasn't visible to the human eye, only showed up on camera. Its presence was sensed by Kelly. When she felt contact with it, all of her pain was lifted off, vanished and didn't return. The Dustone website has launched. May it continue its work of "tootling the multitudes" with similar higher dimensional results. Have been quite busy of late, unable to post here, but plan to get into more of a regular schedule. Two days ago I saw a photograph of an Angel. Well, I don't know exactly what it "is" I saw, however for purposes of communication "Angel" appears the best descriptor, or perhaps, "Healing Angel." I'll explain. "Oz, this is Kelly, she's Mickey's daughter." Regular readers of of the Oz Mix will easily recall the startling synchronicity I had regarding Mickey Rooney in the last post here, Bond 23. I told Kelly Rooney that story. She smiled, then a few minutes later recounted an amazing occurrence she had experienced just the night before. She said that she had come home that night in a great deal of pain. She had a very graphic analogy for the pain that I don't remember verbatim, something like the feeling of a sharp knife going through your throat then down the back of your spine. She went to bed but couldn't rest so got up to get some air on the front deck which has a beautiful panoramic view of the land below. The pattern of lights down below caught her attention so Kelly decided to take a photo with her cell phone. Looking at the photo, she saw what looked like a kind of whitish smudge off to one side that wasn't visible to her eyes except in the photo. Thinking that she may have accidentally had her thumb over the lens partially, she took some more photos being careful that nothing was blocking the lens. The subsequent photos show a white, viscous light pattern morphing into different shapes like a lava lamp might. It looks more substantial than smoke ( nothing was burning), less substantial than a biological body. I saw about 4 photos like this. None of the apparition's shapes resembled anything humanoid, to me, yet it definitely appeared to have cohesiveness. It also looked very close, like it was right in front of the camera in contrast to the lights from the bottom of the hill. Well, sure, maybe it could have been some weird defect in the camera and/or lens. I guess taking more photos from that camera would either confirm or rule that out. However, Kelly's experience, what she sensed and felt in the presence of this entity makes me suspect that a mechanical anamoly doesn't adequately explain this phenomenon. She said that she felt something touch her and when it did, all of her pain immediately vanished. She said it was like all the pain just lifted right off of her and didn't return. From the way Kelly appeared when telling this story it seemed clear to me that she had a genuine contact experience. The owner of the Dustone studio, Paul Bareilles, was there and encouraged Kelly to write the account down. Perhaps more details will come to light. I don't know what she plans to do with the photos. I asked her permission to write this up. She said, please do and offered the explanation that one reason this might have happened was to let others know about it. Also interesting to me is that this occurred in a location dedicated to the production of music intended to transform and heal. Heard on the radio yesterday that the new James Bond movie will be called Bond 23. I'm not a huge James Bond fan, just find it interesting that the number 23 finds itself receiving more and more attention in the public eye. The 23 Enigma first became more explicitly known to a small segment of the public in Robert Anton Wilson's book Cosmic Trigger. The engima basically concerns the preponderance of strange coincidences with the number 23. I wrote this whole post then discovered an article online claiming that Bond 23 was a working title only. It won't be the final name apparently. The info I heard on the radio appears wrong. I'm so disappointed! Who can you believe if you can't believe talk radio? Oh well, what follows gives my take on the subject regardless. I accepted the 23 enigma as a signal that I should attempt to decipher. 23 also turns out to carry much significance in Crowley's Qabalah as the group who participated in RAW's online Crowley course discovered. Burroughs associated 23 with Death from experiences he had. Key number 23 corresponds with the Hanged Man in the tarot which suggests death. The 23rd Hexagram in the I Ching is called Splitting Apart which also suggests death. A hieroglyphic character or symbol; a pictograph. In other words 23 = a symbol of new life. All this suggests to me the death/rebirth archetype. But there's more. The association with a thread recalls the classic, albeit cliche instruction when in the bardo to: maintain the thread of consciousness. Cliche it may seem but it also happens to convey extremely good advice. Obviously we would easily remember our past lives if able to maintain the thread of our consciousness through physical death. But we don't have to go there, to postulate reincarnation or speculate about life after death to benefit from this invaluable instruction. P.D. Ouspensky gave the same advice, I don't remember where, when discussing the attempt to keep consistent practices of inner work. He said something to the effect that sometimes you'll fall so far from your work that you'll feel much more asleep than you ever have before, but if you try keeping even a very slight thread of remembrance to your aims and practices you can get through this negative side of the cycle. Anyone who attempts the slightest amount of self-observation will soon discover a collection of self-contradictions. One moment I'm resolutely determined to lose weight. That evening my wife makes an incredible banana split with hot chocolate sauce and nuts for dessert that I can't pass up. This crude example seems common to everyone's experience though the details vary. Further self-observation reveals that we seem to be slightly, sometimes drastically, different in every new situation. As the environment changes, we change with it as we react to different circumstances. In the Gurdjieff system they refer to this phenomena as "many I's." They say that as we appear now, we do not possess a unified "I" but rather a collection of small "I's" liable to change on a whim and often at odds with each other. If you stand between two mirrors angled in such a way to see multiple reflections of yourself you'll get a poignant graphic display of this idea. So how do we go about forming a unified "I", one consistent from moment to moment and day to day? One method I recommend appears the first and most basic task in the Crowley system: discover, formulate, find your True Will and align yourself to it. Why am I here? What is my purpose or mission in this life? If I could do anything I like, money and time being no obstacle, what would I do? Answering these questions can help with that discovery. In Crowley's system, the Holy Guardian Angel represents the unified "I." Another method harks back to the aforementioned instruction to "maintain the thread of consciousness." If I can remember my resolution to lose weight when presented with the temptation of a banana split then I might get unified enough to pass on it or only eat half. To bind together as one seems exactly what we wish for a unified "I" also called a "Big I" - as opposed to all the little I's with their own agendas. To bind together as one appears as an original definition of the word religion. In the 60's Timothy Leary suggested, to anyone who would listen, the advice: start your own religion. Pretty sure he didn't mean to impose an ideology to oppress others with dogma and get rich as some of the new fangled "religions" have, probably taking their cues from some manifestations of traditional organized religions. From the context Leary gave this suggestion, I suspect he meant religion as originally defined: to bind together as one which we see as a method for forming a big, unified I or, alternatively, as a method for discovering and aligning to True Will. Leary saw himself carrying on Gurdjieff's work as well as Crowley's. Starting your own religion introduces the idea of regarding your life and daily activities as sacred, which brings about the use of a special kind of presence and attention. Perhaps the aspect of Joy from the 23 glyph enters here? A good literary presentation of making daily life and ordinary routines sacred occurs in James Joyce's Ulysses, a book modeled in form after Homer's epic poem the Odyssey which concerns the ancient Greek hero Odysseus and the adventures on his prolonged journey home. Like many fans of Robert Anton Wilson, when I first encountered his works and for several years after, I began having lots and lots of unusual coincidences with 23. Too many to write off as selective perception though there were some that fit that category. I usually regarded them as an indication of my awareness of a new life as a spiritual being, evidence of going in the right direction. To give one example: On July 23rd, 1983 I did pay attention to any 23s that might crop up. The band I was worked for at the time, The Tickets, had a small party the night before in honor of my leaving the band to attend recording school in New York. Got up at noon. Went to a convenience store and saw a photo in a magazine with the caption, " on Aug. 23, 1974 John Lennon saw a U.F.O. flying over New York City." Fans of Cosmic Trigger will recognize the July 23rd date as the day the star system Sirius reputedly has the greatest effect on Earth, so the U.F.O. sighting over where I was going seemed relevant. A small coincidence there. The one that really got me though - at 2:30pm an old movie came on which was about a young man preparing to leave his home to go to school in New York - exactly what I was going through. To top it off, the actor playing the young man was a young Mickey Rooney. Mickey was the name I was called by until High School because my given name was the same as my Father's and Grandfather's and they had first dibs. Then I found that some of the dialog, when interpreted in a different context, sounded like communications from an Inner School of some kind. So I took all this as an indication of alignment to True Will by making the decision to move to New York. The unique thing about the 23 glyph as a symbol of the death/rebirth archetype/formula - it specifically references the bardo by the correspondence with thread. You don't instantly go from death to rebirth, an in-between phase occurs even if it eludes awareness most of the time. This in-between death and rebirth phase, aka the bardo, marks the space where meta-programming can be done ie programming your programming. A formula suggesting how to do this appears in Cosmic Trigger. The bardo has also been called the space of choice-points. So I now also see the 23 glyph as one communication device to make the death/bardo/rebirth formula more explicit as a viable and extremely useful technique for brain change. If you look at the pathway that lies between 2 and 3 on the Tree of Life you might get some useful hints there relative to bardo voyaging and brain change. 23 corresponds to the Hebrew letter Mem which opens up other avenues of useful inquiry. I'll just say that (perhaps this stretches it too far but sometimes you don't know how far to go until going too far) mem occurs as the root of remember which recalls Gurdjieff's prime instruction to remember yourself ie maintain the thread of consciousness. So I'm glad to see 23 emerging more and more in popular culture. The first instance I'm aware appeared in the Max Headroom television show. Network 23 was the station the main characters worked for.The Movie Who Framed Roger Rabbit begins with a Baby Herman cartoon that seems a very accurate illustration of the trials and tribulations regarding the birth of the new Aeon of Horus. Immediately following is a comment about how they did 23 takes of it. This movie has a lot of useful information. Whether Bond 23 relates to the 23 enigma, I do not know, except that ... I wrote this blog, so it does now. It's the first Bond film to only use a number in the title. The director, Sam Mendes, has a track record that includes a good film narrated from the bardo perspective called American Beauty. Finally and unrelatedly, although I'm a bit late getting this out, a group is assembling over at alt.fan.rawilson to do a read through of the Thomas Pynchon book Against the Day. It starts in a couple of days with a plan to read 4 pages a day. Anyone is welcome to join in. On Rise Again, Bill Laswell and Method of Defiance Technologies craft exotic, dub-groove beats and solid, fluid, moving, intelling bass lines set in depth-field micro-worlds born from the reverberations, oscillations and modulations of du du du dubbed out, stretched out, phase shifted, time twisted, pitch bent, frayed, delayed and parlayed sound FX forming the foundation and environment for the crazy-poetic, broadband nursery rhyme chants, mantrums, slogans and idiosyncratic, polypantheistic relativistic, revelatory transmissions of HIMOG Dub Messiah Lee Scratch Perry. At 75 years of age, sounding more God-intoxicated than ever yet also freely copping to his insanity, Perry delivers his vision with astonishing clarity and directness. It seems like he's reached the age where he just wants to cut out all the crap and get to the core of the message. Perry's pallette includes references to martial arts, sanskrit chants, the Ark of the Covenant and other Old Testament stories, Magick, Nietzsche, Little Richard, Reincarnation, Islam, vegetarianism, Astrology, extra-terrestrials, Japanese food, and of course, Rasatafari among other things. I've been listening to it for awhile, got my copy in Ethiopia appropriately enough, but checked it out with headphones for the first time yesterday. Delighted to discover that the very first sound you hear on Rise Again is an ambient recording I made outside the crypt at the Basilica du Sacre Coeur in Paris, France. It was raining slowly and the church bell was ringing slowly. It has a very strong mood which you can hear in its entirety on the 7th track, Bells of Sacre Couer/ Showtime at Giza, from my cd, All Around the World mentioned a few posts back. It's interesting that this record starts with a distant bell ringing because that's also how you begin a bardo reading. Bells reputedly open up entry portals to the Invisible World. You ring one at the start of a reading to indicate the intention and vector of your concentrated and directed attention. It helps to establish contact. Bells also see use in magick rituals, in particular Crowley's Mass of the Phoenix. In that ritual Crowley gives us the Thelemic rendition of the Lord's Prayer. Lee Perry gives his Rasta rendition of the Lord's Prayer on this CD. Eleven tracks on this release. 11 = the number of Magick. Peter Apfelbaum's flute wafts and punctuates like reflected, refracted light dancing through a diamond-like crystal prism. Later in this song and on subsequent jams Perry's raps remind me of the spirit of 6th century Celtic poet Taliesan in particular the Hanes Taliesan riddle as presented in Robert Graves, The White Goddess. 2. Scratch Message starts by quoting an old tune from the 1920's, Keep On Knocking But You Can't Come In that Little Richard made famous in the rock-n-roll era. Slowed down, chilled out and reggaeified it serves as the Greek Chorus to his message. Showing true ambition, Perry manages to conquer death, the 2nd letter of the Hebrew alphabet (beth), and the Royal Family of England all in one verse. Fair Elffin, cease your lament! 5. Rise Again - The title track begins, once again, with distant Church bells chiming. Mellow, hypnotic, trance dub frames Lee's celebration of transcendence/rebirth/victory. B section chant starts out Aum Tat Sat. a sanskrit mantra. It means the Truth of Absolutely Reality. 6. African Revolution - notice how the titles of tracks 5 and6 have the same initials but reversed. 5 = 6 in that regard. From the joyfulness of the song I'd guess it advocates a non-violent revolution. Sounds like Hawk sings on this one. 7. Dancehall Kung Fu ode to martial arts, Geminis and Supermen? Off-planet soundcapes conjure alien environments. Lee summons the Space Brothers to make a new race. This is the song where he admits his insanity, if you can believe him. 9. House of God - starts with the sound of an emergency vehicle siren. Explict dub hymn to Scratch's vision of the Singularity. Sounds like my friend Jahdan Blakkamoore raps on this one. Jahdan was part of the KSK artist contingent performing in Mali one year. Me: What is the ultimate purpose of human life on Earth? RAW: To be the eyes and ears of God. Transformation is achieved, mission accomplished. And my starter is fire. It might be easy to write off Lee Scratch Perry as a naive eccentric who maybe smoked a little too much ganga in his time but you need to remember this is the person who brought reggae music into the world. Hooking up with Bill Laswell (like Herbie Hancock, Iggy Pop, and William Burroughs before him) rates as genius in my book. It's good to hear Lee's voice strong as ever. Another aesthetic transmission communication from Method of Defiance. "This release of light and energy upon death can be sensed and felt, particularly by someone very close to the person who died." What follows is an eyewitness account of the death of an extraordinary explorer of Higher Consciouness, Franklin Merrell-Wolff. It's quoted from a biographical piece on Merrell-Wolff by Dr. Richard Moss who knew him well. The whole piece is worth reading. "When I entered his room, I stood silently at his bedside, gently holding his hand. I could feel his energy, exquisitely fine and open, but nearly gone. He didn't seem to be conscious. Reaching deep inside myself, I began to speak softly to him. I told him that his work was now complete, that his body had been prepared for release by the illness and was now ready. Then I was silent for a long moment and told him from the depths of my heart, "We all thank you." Suddenly, he roused himself, and with what seemed at once like genuine sincerity and the old mischievous humor I loved so much he replied, "You are all entirely welcome." These were his last words. He passed away peacefully a few hours later. His body was brought back to his home where he was dressed in his finest teaching suit and laid on the couch in the room where for years he had had his Sunday meetings. Then, because it had been his request, I and two of his oldest students began to whisper the First Bardo from the Tibetan Book Of The Dead repeatedly into his ear. He had been quite clear that he wanted to have the First Bardo read to him, and only that Bardo. The words instruct the "Nobly born" to receive the Pure White Light of Consciousness-without-characteristic of any kind. For him it was to be the Pure White Light or nothing. We took turns reciting the First Bardo for six hours until dawn. In those hours and throughout that first day after his physical death the energy that radiated from him became stronger and stronger. It was like standing before a door onto the Infinite. I realized then that we can do our deepest work in service to Consciousness, as the Tibetan Buddhist's teach, in the final moments of life if we can release all self-contraction and become transparent to the Infinite. Forty-nine years before, exactly half his lifetime ago, this is what happened to Dr. Wolff at the time of his realization. Now it seemed it was happening again in the hours after his physical death." sought to arrive at his own liberated self." "Henceforth, he began writing, not merely about Transcendental Consciousness, but from it. Because he intends Pathways to be primarily an autobiographical report on the process itself, including spontaneous reflection on a variety of topics and issues, he presents the philosophical dimension informally, rather than systematically. He is sharing the journey, which may provide personal inspiration for the reader’s spiritual path. " Three films that all include a common theme very pertinent, in my opinion, to the pain and difficult times we are collectively going through. Generally speaking, this theme could be said to illustrate what brings down, or defeats an Invocation. These films each present the theme in completely different ways. Each film also reveals much more under the microscope of qabalistic analysis, and at least two of them work well, with repeated viewings, as exercises in that elucidating art. This theme also turns up and develops out as one of the subtexts in Aleister Crowley's 91 chaptered Book of Lies, a crucial title for understanding the esoteric work he presented. Cousins read of the theory that negative emotions be harmful to the body, and so hypothesized that if the negative emotions were detrimental to your health, then the positive emotions should improve health. Cousins, still battling his ailment, was being treated with high doses of painkillers, which he realized were being harmful to his body. This realization motivated him to prescribe himself a medication of a different sort. He hired a nurse who would read him humorous stories, and play for him Marx Brothers movies. This proved to be effective, as in very little time, Cousins was off of all painkillers and sleeping pills. He found that the laughter relieved pain and would help him sleep. Since Norman Cousins declared that he "laughed himself out of" a deadly disease, scientists have theorized that laughter has the ability to strengthen the human immune system. Another important function of Marx Brothers comedy is what's known as "breaking set" which means breaking down or breaking through our conscious and unconscious beliefs and habits. "Breaking Set" is the spirit of Crowley. Psychological Set Theory defines set as the predetermined way we have of looking at the World. Set, funny enough, is the "evil" god of Egypt, who killed his brother Horus. Horus, the new aeon symbol, is opposed by the rigidities of the past (Set). Set is restriction and for Crowley's "morality" restriction is "evil," whether it be the restrictions and rigidities of our own conditioning and prejudices, or those of an entire culture and civilization." "Breaking Set" is another form of the death/rebirth archetype/formula. To break set is to temporarily "die" to your preconceptions. Experience shows that a new, and hopefully expanded (be it ever so subtle sometimes) set forms fairly quickly. That's the rebirth part. O! the heart of N.O.X. the Night of Pan. Death: Begetting: the supporters of O! To beget is to die; to die is to beget. Cast the Seed into the Field of Night. Life and Death are two names of A. Neither of these alone is enough. Kill thyself = breaking set - one possible meaning of several, perhaps. By Gematria, the 5th line indicates a method I've discussed much already so I shan't belabor the point. and we shall secure its transmission from generation to generation through initiates of a special kind, whom we shall call initiates of art. "initiates of art" qabalistically relates to Crowley's formula of N.O.X. Naturally, it always involves a little trip through the bardos. The good news is that this process can become more familiar, learned and practiced, by watching Marx Brothers films. Ergo, watching Marx Brothers films can act as a form of bardo training. In Animal Crackers, the stolen painting, represents the Invocation that gets defeated. Harpo does finally return it in the end but then proceeds to knock everyone out with sleeping gas . I should note that in all these films there is a whole lot more to them than the points I'm making. The second film is Beetlejuice. The theme I'm alluding to is shown in the first scene immediately after the opening credits sequence and in the first words of dialog. Unlike Animal Crackers the force that would bring down the Invocation is turned around to become the force that powers the Invocation. "What do you look like under there?" she says trying to peer through the eye-holes. "Are you gross under there? Are you Night of the Living Dead under there? Bloody veins and pus?" Another level of the film can be seen as an allegory of how awakening consciousness ( the Maitlands in the bardo) "haunts" the body it lives in ( their house in the film) and how higher consciousness has to learn to get along with ordinary consciousness ( the Deetzes and friends except for Lydia) and vice versa. The last film seems particularly relevant in this day and age with so many wars breaking out, wars continuing and threats of war elsewhere. Kubrik's film Dr. Strangelove or: How I Stopped Worrying and Learned to Love the Bomb remains one of the best satires on war ever, in my opinion., desoite its setting in a different era. The Invocation brought down in this film could be called "All Life on Planet Earth as we currently know it." Thanks to the Overweening Generalist for pointing this vid out. Aircraft commander Major T. J. "King" Kong goes to the bomb bay to open the damaged doors manually, straddling a nuclear bomb as he repairs arcing wires overhead. When he effects his electrical patches, the bomb bay doors suddenly open, the bomb releases and Kong rides it to detonation like a rodeo cowboy, whooping and waving his cowboy hat. The H-bomb explodes and the Doomsday Device's detonation is inevitable. 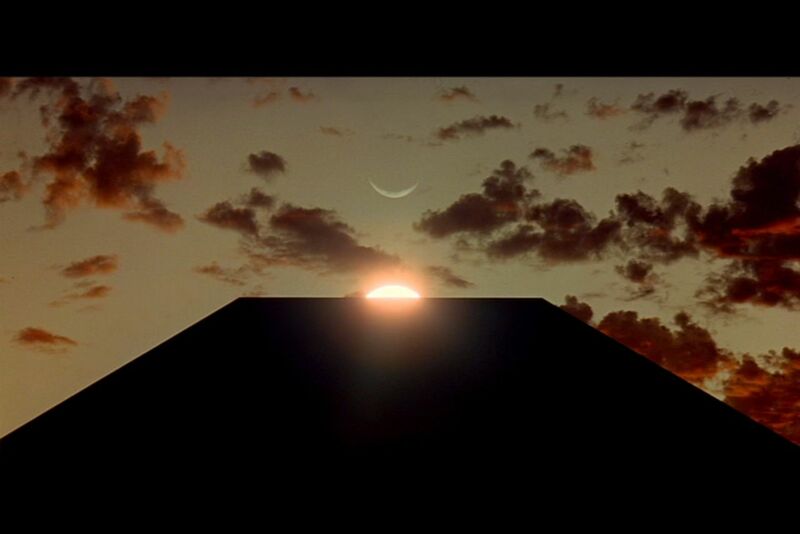 Maybe Kubrik's next film, 2001: A Space Odyssey was a response to the nihilism of Strangelove? A special word from our "sponsers" ie computers, computer interfaces, the internet, apple, all the i-devices etc. We had just finished recording and photographing Jali Kunda, Griots of West Africa and Beyond - Bill Laswell, Janet Rienstra, John Brown, Daniel Laine and our host Foday Musa Suso comprised our group for this venture. "There's some money left over in the budget, we're in Africa, where should we go for a few days? ... Mali?" Bill said. Janet responded, " Let's go to Cairo and see the Pyramids." "Ok, let's do it, let's go" Bill replied. Then I realized he was serious, but could hardly believe this incredible opportunity. It would give me the chance to visit the Stele of Revealing in the Cairo Museum. The Stele of Revealing, an ancient artifact, is the funerary stele of the priest Ankh-af-na-khonsu circa 8th century B.C. It played a prominent role in Aleister Crowley's reception of the Book of the Law (Liber Legis). Crowley had the text on the Stele translated and incorporated some of it into Liber Legis. It's a Thelemic altar piece. I was very grateful to Bill and Janet for letting me tag along on this new African adventure. We were flying out of Brikama, Gambia. To get to Cairo we had to go through Paris; we had a 2 day layover there. I was feeling feverish and sick but was determined to keep it together long enough to get to Egypt. A couple of days before we left Gambia, driving up through Guinea Bissau at the conclusion of a long and rewarding, recording roadtrip, our van got into a small accident with a tree. The road was so pockmarked with deep and treacherous potholes that you could only drive 35 mph right on the edge of the shoulder which had the least amount of potholes. The driver still had to negotiate this weather-beaten road like he was competing on a road rally obstacle course. At one point he lost control, slid off the shoulder and slammed directly into a tree. Being an alarmist in the face of disaster, I thought we could be done for. If not done for, much uncertainty as to when and in what condition we would return home, if ever. The part of Guinea Bissau we crashed in was known to be unstable . Some French tourists had been abducted in this region a month before. To my great relief, the van started up right away and the driver had no difficulty getting it out of the ditch and back on the road. I've never been more grateful to hear an engine turning over than I was at that moment. Also very grateful to travel in a solidly built vehicle that could withstand such a shock and drive out like nothing happened. Still not out of the woods at that point, we had to get to a small ferry crossing before it closed at dusk. The ferry had been taken over and was being run by the military due to recent unrest. The last ferry was set to launch as we pulled up. The soldiers told us we were too late to get on board, that we'd have to wait until the morning. Some cash quickly changed their minds. We were allowed on the ferry, and made it back to Brikama that evening. A couple of days later, when we got to Paris, I started feeling feverish and sick. Apparently I had incurred a slight internal injury as a result of the sudden jolt of the accident and the fever was a reaction to that. I wasn't going to let a small thing like a viral infection interfere with this rare opportunity to work with the Stele of Revealing. It was Bill, Janet and I making this pilgrimage to Egypt. John Brown shepherded the field recording gear back to New York. Suso stayed with his family in Gambia. Our illustrious and inspired photographer, Daniel Laine returned with us to Paris where he lived. Later, Daniel drove us to his home for a visit. What I remember most about that visit was this incredible John Coltrane music he had playing in the car. It still seems like some of the most expressive and explorative music I've heard from Coltrane. Apparently it was Coltrane and group Live in Japan which also included Pharoah Saunders at that time. Someone said that this was Coltrane in his "acid phase." My other vivid memory of that brief Paris visit was of walking the street just after it rained. Everything felt fresh and clean. It had gotten dark but was still early enough and warm enough to accommodate the hustle and bustle of shopkeepers and their clientele: fresh flower markets, wine stalls and delicious looking fresh bread and cheese. Praise be to the amenities of a first world country after a month in Africa! I felt incredibly, vitally alive despite my body having other issues. At 3am a driver picked us up at the hotel and drove us to Brussels where we caught a flight to Cairo. Going through customs we had to purchase visitor visas. Bill pointed out a sign to me that said something to the effect that anyone caught with drugs would be executed on sight. The way it was worded made it sound even worse than that. I wasted no time the first morning getting to the Cairo Museum to see the Stele of Revealing. The plan was to meet up with Bill and Janet in the afternoon and go out to Giza to see the Pyramids. We would stay the night at one of the most luxurious hotels I've ever been to, the Mena House Oberoi. The Mena House has a rich history playing host to such notables as Sir Arthur Conan Doyle, Cecil B. DeMille, Charlton Heston, Charlie Chaplin, and Winston Churchill among others. It was at the Mena House in 1977 where representatives for Egypt and Israel met to discuss a peace settlement which eventually lead to the Camp David Accord that has lasted to this day. I got to the museum shortly after it opened, around 10am. I decided to check out the rest of the museum before finding the Stele of Revealing. It's hard to convey the experience of navigating the museum corridors surrounded and often dwarfed by the stone-carved statuary, monuments, tombs and artifacts of Ancient Egypt. I kept my eyes open for the Stele but didn't see it. It even took awhile to find when I started to deliberately search for it. Finally found it on the 2nd floor, a little out of the way. It still had it's own label from when Crowley and his wife Rose saw it in 1904 which gave the exhibit number as 666. For those who don't know, the story goes that Aleister and Rose were visiting Cairo on their honeymoon when Rose uncharacteristically started having some kind of visions after Crowley performed a ritual Invocation. She started saying, "they are waiting for you. " After further investigations along those lines, Crowley determined that "the waiter was Horus," an Egyptian solar deity. He was still very skeptical so he plied Rose with a barrage of questions. All her answers indicated Horus despite having no conscious knowledge of Egyptology or occult subjects. Crowley took Rose to the Cairo Museum, which they had never visited, and asked her to pick an artifact related to the Intelligence coming through her. Some accounts have him gleefully watching as Rose passed several statues of Horus with no indication. Finally, she spotted the Stele of Ankh-af-na-khonsu from a considerable distance and said that's the one. Crowley was astounded to discover that the exhibit number was 666, a number that he identified with as his life's work. Much later in England under oath at a court trial, Aleister told the judge that 666 was simply a number of the Sun. "You can call me Little Sunshine," he humourously proposed to the ponderous magistrate. Crowley renamed Cairo Museum's exhibit 666, the Stele of Revealing. My intention was to psychometrize the Stele though I didn't have much of an idea of how to go about it. I just stood in front of it and tried to quiet and empty myself of all thought and be open to receiving any impressions. Nothing dramatic occurred. I experienced no visions or strong cognitions. After about 40 minutes of this I started becoming self-conscious and ended the experiment. I did feel like I was in a mildly altered state. You might expect to feel this way after meditating on anything for 40 minutes but this felt distinctly different like a vague, undefined opening of some sort had been made. Maybe it was "just my imagination" to quote the Rolling Stones quoting The Temptations. I met up with Bill and Janet and we caught a taxi out to Giza spending the afternoon out by the Great Pyramid, the Sphinx, and the not-as-great-but still-pretty-impressive lesser Pyramids - I forget their official names. A local tourist guide had a camel for tourists to get their picture taken on. Bill asked if I wanted to get on but I was still in far too much pain to undertake such a feat. He did snap a picture of me with the Great Pyramid in the background. It's a photo I've often used as a profile picture over the years. In the evening we assembled in the lobby of the Mena House before heading out into the night. Bill said, "Oz, I have something for you that will make you feel better," then gave me a small piece of blotter paper which I ate after a quick and silent consecration. This isn't something I normally do but it seemed like an extraordinary circumstance so I thought I'd follow the advice of the Guide and trust the situation. I did start to feel better quite soon but then rapidly started feeling a little too good for my body's comfort zone. I knew exactly what he'd given me, and through previous study, knew exactly what remedy to take to tone down the dosage. I didn't have any vitamin B12 with me, but was well aware that alcohol would act as a mild sedative so I had a couple of shots of whiskey to relax. We didn't have any real plans so thought about going back to the Pyramids. Turns out that they cordon off the area and charge tourists admission to a laser light show they put on. We weren't interested in that so we told the cab driver to take us somewhere near the area. He took us to a street that ran along the eastern side of the Giza plateau. To our left, in the darkness, was the Pyramids and the Sphinx. Suddenly the Great Pyramid lit up in a brilliant dark green hue as the laser light show began. A soundtrack was blasting across the plateau with music that sounded like it could come from a Cecil B. DeMille epic over which a narrator was lecturing on the Ancient Egyptian pantheon in French. A sequence of changing colors continued to illuminate the night. I felt like I was in Disneyland but then remembered that this was one of the monuments of the Ancient World. The Pyramids had been co-opted by consumerism, this must be the end of the world, was how my reasoning proceeded at that time. For the rest of the night I had this feeling of living in end times. To our right was a 2 story building that looked like a motel. A single street light revealed it's fluorescent blue color, very similar to the color of the adobe dwellings in Jajouka, Morocco where Bill and I had recorded the Master Musicians of Jajouka playing their Rites of Pan. No signage appeared on this "motel" except for large "A A " letters painted in black at the front top. The A .'. A .'. is the magical order founded by Crowley and George Cecil Jones in 1907 and still exists to this day. I am not a member. It still seemed strange to randomly end up at the AA motel after attempting to psychometrize the Stele of Revealing, an artifact of central importance to the A .'. A.'. The aural landscape sounded equally rich. Besides the surreal melodramatic classical music and French narration recording electronically blasting across the plateau at full volume, we could also detect spirited acoustic music from just up the street. I had my DAT recorder with me and immediately got it out to record to this collaged, kaleidoscopic soundtrack to the end of the world. Unfortunately, the batteries needed changing - 6 double "A"s in an awkwardly fitting enclosure. They were challenging to quickly replace even under the best of circumstances such as, for instance, when the world wasn't ending. That night, for some reason, it was smooth and easy. The batteries just slid into place. "It worked," you can hear me say in surprise at the start of that recording. You literally can hear this, if you like. I used some of this night's audio on the first track, titled What Is Your Job? from my cd All Around the World. Portions of it also appear later on the 8th track, Bells of Sacre Couer/ Showtime at Giza. Janet, Bill and I proceeded up the street toward the live music. It sounded very similar to the Master Musicians of Jajouka. About 15 - 20 musicians were playing drums and raitas (high-pitched double-reed horns). Turns out they were playing the music for a dancing Arabian horse show. One by one, the dozen or so horses would take a turn doing their thing in the center of the circle. Except for us and about 4 other people, there weren't any spectators. Nearly everyone there seemed to be participating in the show. There also wasn't any separation between us and the horses waiting their turns. We were right beside them. They seemed incredibly high strung as if the riders were right at the edge of keeping them under control. The possibility of one of them losing it and kicking us seemed real. They were certainly within striking range. I could feel adrenaline pumping through my body. When the horses took center stage and did their thing, they danced with poise and grace. They were highly disciplined. Horse is one of the animals that corresponds with Horus by qabalistic reckonings. The Stele of Revealing helps announce the new aeon of Horus by Thelemic reckonings. Dancing horses seems most appropriate. After about an hour the show ended and we made our way back to the hotel. We had a late dinner then wandered around Mena House a bit taking in the luxurious but fading decor. Various interesting and unusual rooms or "chambers" appeared off the hallways we traversed such as the room full of hookah smokers, a light blue smoky haze floating above them exuding the pungent aroma of exotic tobacco. Another "chamber' reminded me of a beautiful treasure room I had once visited. I rested for a few hours then got up early to record the ambience inside the Great Pyramid before we went back to central Cairo. Going up the stairs inside the pyramid I caught the chaotic, boisterous chattering and shouting of school kids on a tour. Inside the Kings Chamber it was very quiet. I tried to imagine where Crowley might have done the demonstration of magic he famously did there to impress his new wife, Rose, which produced an astral light. No sounds were happening to activate the chamber's acoustics so I clapped my hands a few times. These recordings also appear on my cd.